I bought some nail polishes the other day. If you remember back in April this year I spoke of caring for my nails. Which I feel there is no better way to do so than by glamming them up with some polish. I have yet to try doing acrylic nails myself but for now doing my own French manicures and polishing should be enough. 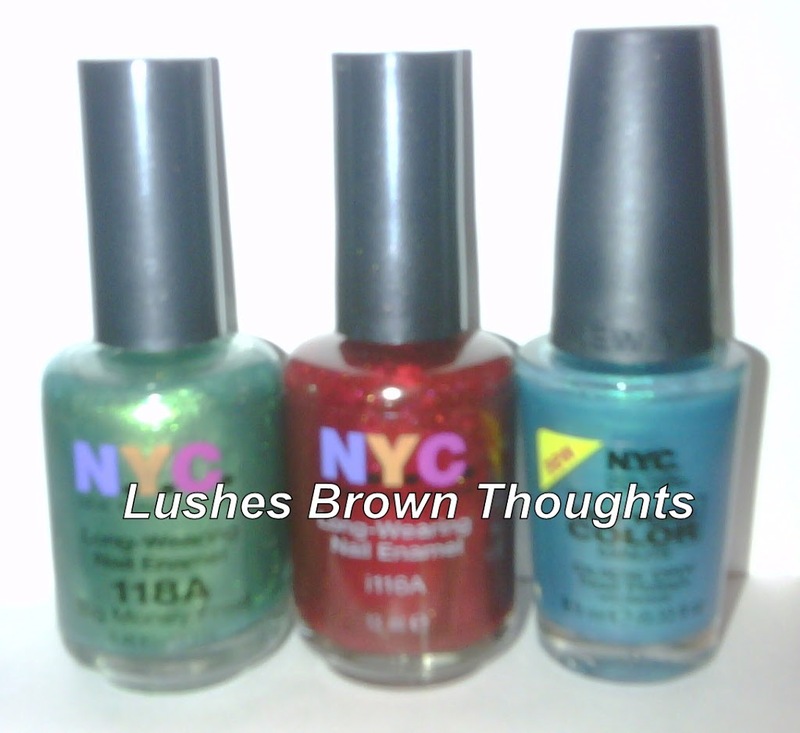 I bought 3 NYC nail polishes. The one I am wearing in the picture is colour number 206B East Village. Its a a very bright turquoise. I also bought colours 118A Big money frost and 116A Big burgundy frost. My cuticles do need some care and my polish application is not perfect but all in good time. I recently started doing my own acrylics, and I have to say in the beginning I almost gave up, but once you get the technique down, you’ll be laughing!